The other day, while shopping for stuff for my Daring Cooks challenge, I decided to pick up some puff pastry and apples. 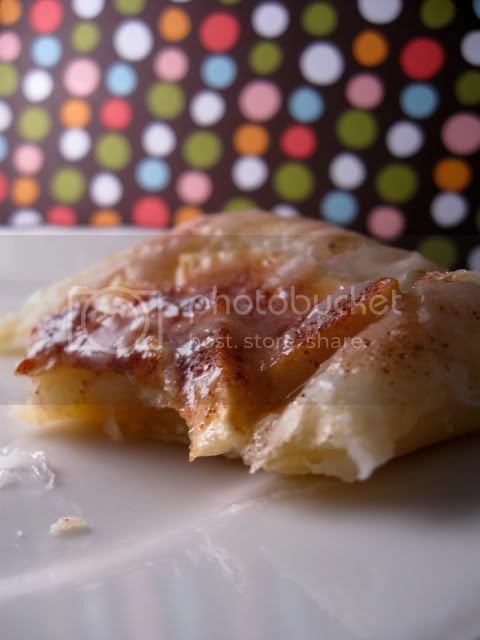 I was craving something sweet, but nothing really struck my fancy...then I got the brilliant idea of making apple turnovers. So instead, I made these. 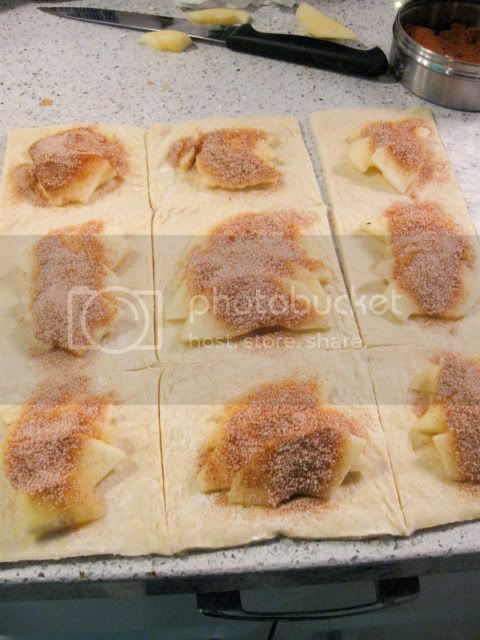 Rectangles of puff pastry (or any shape you want, if you want to make them cute... :P) with slices of apple and cinnamon sugar on top. 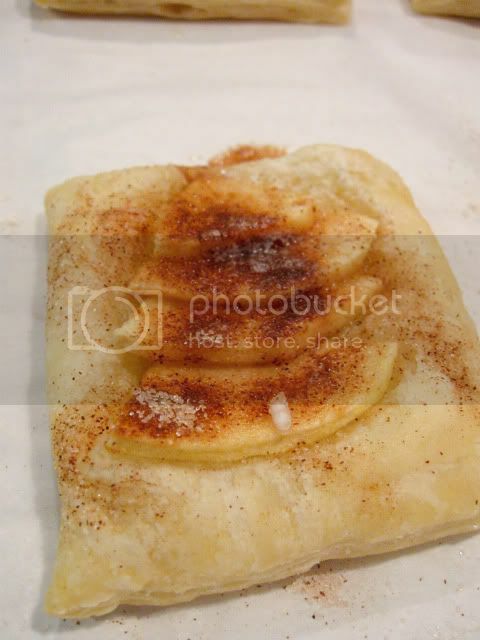 Peel and slice the apple (1/4 of an inch thick slices) and lay them, layered, over the pastry, leaving at least 1/4 of an inch around the edges of the pastry. 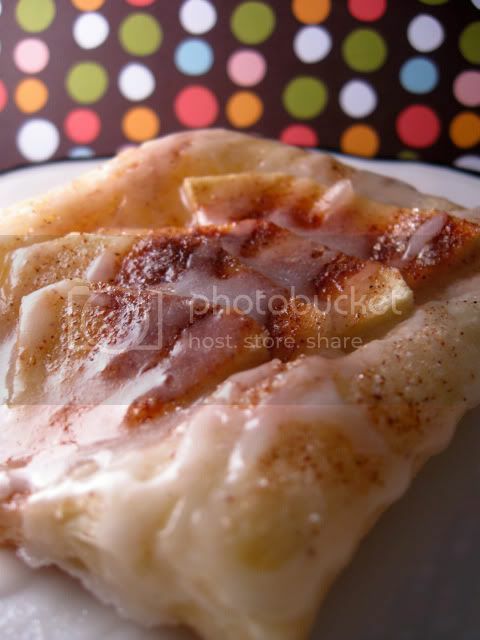 Sprinkle some of the cinnamon sugar over the apples, and then a small bit of butter on top of that. Bake the pastry for about 20 minutes, or until the corners/edges are slightly browned. 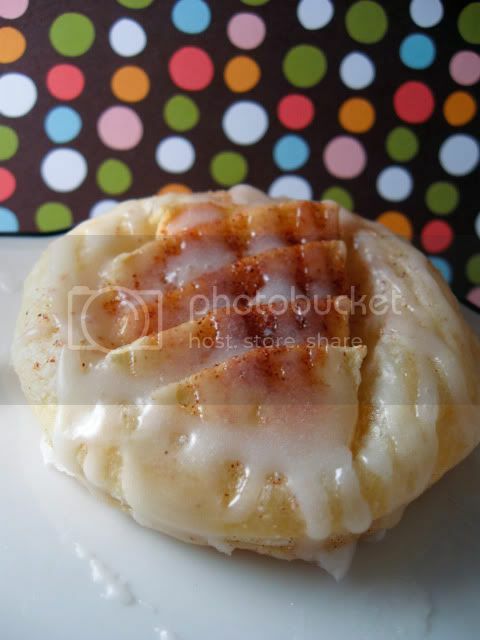 Once out of the oven, drizzle the icing over the hot pastry. 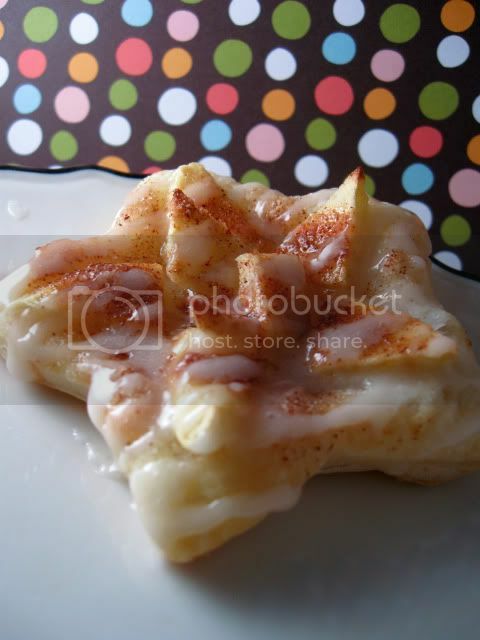 It tastes like those Pilsbury toaster strudels, only way better, and you can definitely substitute any fruit! Yum!!! So easy, I love it!